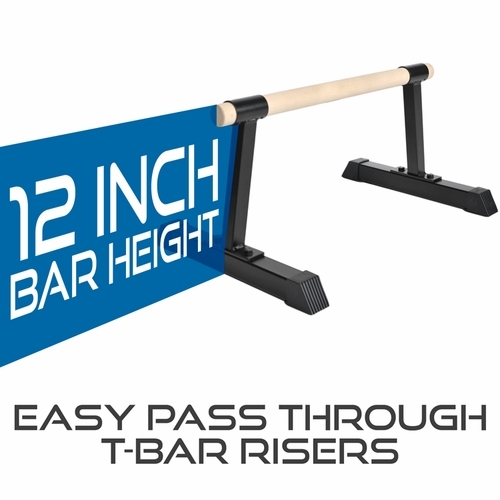 The new 12" tall Wood Bar Parallettes from Ultimate Body Press combine the strength and height of modern parallette design with the comfort and feel of traditional wood grips. 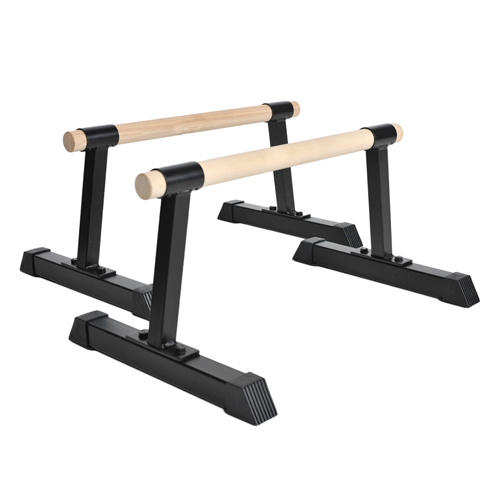 Our ultra stable, angled risers and T-bar design are an industry exclusive that provide ample room for your feet and legs to pass through so you can focus on form and get full extensions for better workouts every time. 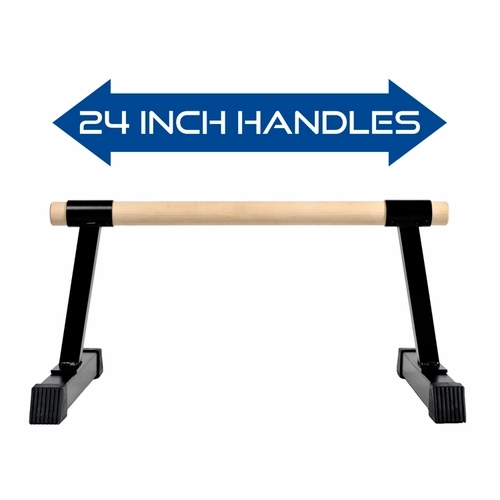 The sturdy 24" long, 1.5" diameter hardwood bars are naturally more comfortable offering reduced strain and enhanced support for beginners while also providing great tactile feedback for advanced users. 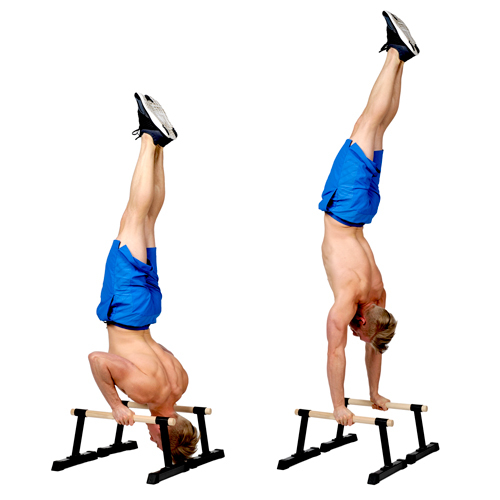 Start with full workouts from day one doing push ups, dips, shoot through, tucks and more. 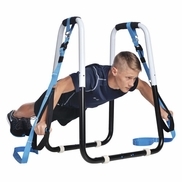 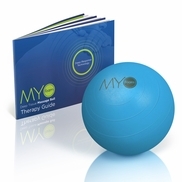 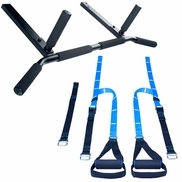 Bring your gym training home and make fresh progress on L-sits, handstand push ups, and planches. 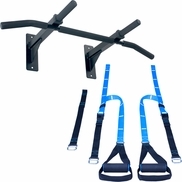 Get the gear designed for you and your workouts, order your Ultimate Body Press 12" tall Wood Bar Parallettes today.